Smoke cooking is a tradition that goes back hundreds of years. Many people have a genuine affection for the unique flavour added to well prepared food through the introduction of smoke into the cooking process, but in todays society few have smoke houses in their back yards! To accomodate this cooking style, we offer Hardwood Flavour Pucks. 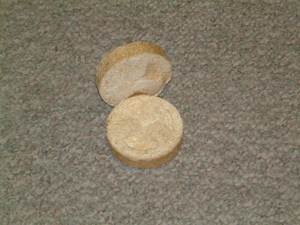 These high density hardwood discs, when placed adjacent to the burner of a gas fired BBQ, or in a charcoal cooking device or in any number of commonly used cooking instruments smoulders and in so doing emits a flavourful smoke that during the cooking process gives the food an old fashioned smoked taste. 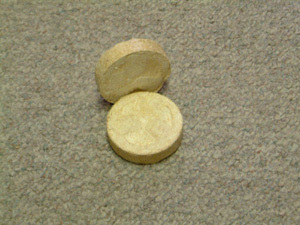 As is our policy, no binders or chemical enhancements are added to our Flavour Pucks.............they are all natural.